Deciding which water softener is the best water softener for your situation can feel like a daunting task. We’re here to help! We have compiled a list of the five best water softeners that you can buy, but trying to discern which one is the right one for you is more than just picking the cheapest or largest one. We want to make sure that you pick the right one. Before we get to that, first you will need to have the answer the following question. Do I really need a Water Softener? If the answer to any of the following questions is yes, you may in fact need a water softener. Are you seeing lime scale build up on your dishes, cutlery and glasses? ​Are you wanting to increase the life of all of the appliances in your home that use water? ​Would you like to save money on soap and detergents? ​Does your skin feel dry and rough after you bath or shower? ​Do you want to spend less time cleaning? Would you like your cloths to last longer? These are just a few of the questions you may need to ask, but if you answered yes to any of these questions you may need to invest in a water softener. The Fleck 56000SXT 48,000 Grain Water Softener Metered Whole House System was designed to efficiently eliminate the heavy metals in hard water that cause problematic home problems. This metered house system filters hard water, keeping pipes clear of scale buildup and leaving a softer, more pure water. LCD display makes it easy to see buttons in dark or dimly-lit rooms. Internal power backup for up to forty-eight hours keeps your preferred setting saved in case of power outage. Holds about 250 lbs of salt at a time, so the consumer won’t have to worry about refilling the resin for a while. Many useful features, such as LCD display and overflow drain, to ensure customer satisfaction and ease of use. Meter based regeneration process, which avoids unnecessary difficulties in the future since it only regenerates when it needs to. Designed for long-life and tested to run up to twenty-seven years without failing. Only takes an hour or two for installation, great DIY project for consumers with plumbing experience. Resin comes pre-charged so you don’t have to worry about charging for a month or two, just install and let it run! Filters hard water using an ion exchange process, leaving your pipes and faucets free of corrosion and looking like new for years to come. Installation instruction guide sometimes does not come with product, and is vague on component installation. After a few weeks to a few months, the plastic lining is prone to major leaks and cracks, a major defect that has yet to be fixed by the manufacturer. If installed without a filter, or with improper filter, could possibly cause severe damage to pipes that could cost thousands of dollars to fix. May not come with all items needed in order to properly install, so be ready to purchase certain adapters from your friendly neighborhood hardware store. Some who have purchased the whole water house system felt a little slimy after showering due to not being used to using a salt-based resin. The Fleck 56000SXT 48,000 grain water softener whole house system had been regarded as one of the top home improvement items, securing fourth place on the Home Improvement list on Amazon. One reason for this is the high customer satisfaction that it gives once installed. Despite a few complains about defects, the majority of the customer ratings for this product were very high, many giving it the highest rating that could be achieved. ​One reason that many enjoyed this product so much was the immediate difference they noticed about their water once the product was installed. Some even claimed that within a few hours their water tasted cleaner and felt much softer than it had before. Another reason many customers preferred using this whole house water softening system is because of how well their faucets and pipes looked even a few years after they had installed it. Some said that their faucets still look brand new, with little or no noticeable corrosion on it at all! ​Many have noted that for the price being asked, it is completely worth it in order to purchase this whole house water softening system. It even seems to be less expensive than some other water softeners. This is one of the most highly recommended home improvement products due to its ease of use, long lifespan, and efficiency to filter out all of the materials that lead to hard water. All in all, it appears that this specific whole house water softener system is not only very well made, but also efficiently and effectively does its job, and would be perfect in many individual’s homes. The WaterBoss220 22,000 grain water softener is a compact water softener designed to efficiently reduce hard water in the average family household. 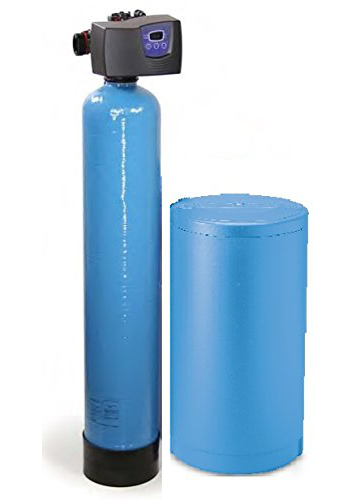 This water softener is proudly designed in the United States and is guaranteed to soften up to 70 grains per gallon, as well as reduce dirt and sediment to 20 nominal microns. Though this product isn’t recommended for larger families with more than four people, it is perfect for average and smaller families that are having issues with hard water. 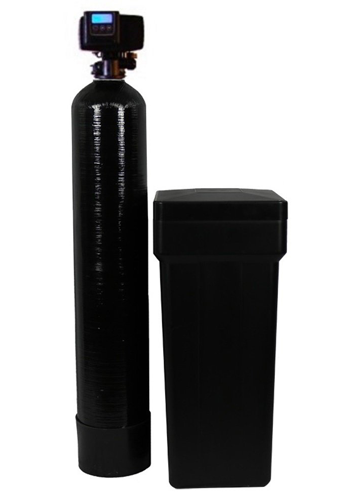 Model 220 water softener comes with a 3-year warranty that even includes the electronic components, as well as a 10 year warranty for the outer cabinet and media tank. When put on the 2.5 pound salt setting, this water softener can regenerate in as little as 18 minutes. 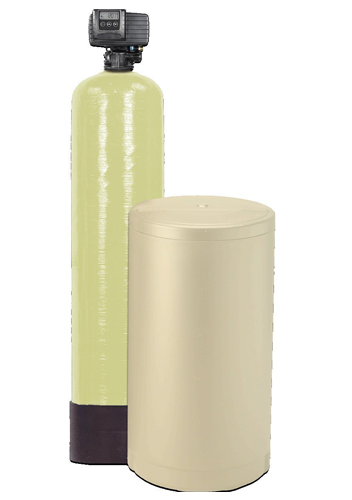 Due to it’s compact size, this water softener can be installed in small, tight spaces with ease. Textured plastic comes in either beige or gray for a unique look for the new addition to your home. This water softener has a 12 GPM flow rate, as well as a 12 GPH water consumption. Not only can it filter sediment and dirt down to 20 nominal microns, but it can also reduce 10 parts per million of ferrous iron. The Model 220 water softener is only about 73 pounds, which is much lighter compared to other water softeners. Because it regenerates in such a short time, this product uses much less water than other water softeners with longer regeneration times. Besides a little confusion on installing the pipes, it is incredibly easy to install inside your home or garage! Instruction manual is step by step and very easy to follow. Customer support is incredibly helpful and has no problem with walking their customers through any issues they may have. Their customer support service is open Monday through Friday from 8AM to 5PM Eastern Standard Time. 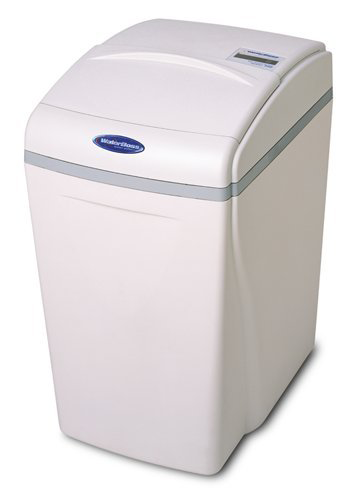 The Model 220 water softener is only suitable for small families of four people or less. Larger families with larger homes will find that the water does not soften as much as it should, if at all. Some customers have complained that the product is too expensive, and that they would have rather purchased a cheaper water softener with similar features. Controls and valve motor are susceptible to corrosion and brine due to the salt storage and the controls sharing the same cover. Parts sometimes come defected, and many have complained that their product began to leak once installed due to a poor plastic on the valve body. Due to the compact size of the Model 220 water softener, many have complained that the resin bed is very under-sized compared to other water softeners. It seems as though the WaterBoss220 22,000 grain water softener is around average when it comes to water softeners. The features, though incredibly helpful, are incredibly similar to other water softeners currently on the market. Even with the high customer ratings, many of them mentioned some form of difficulty they had while either trying to install or immediately when they opened the box. Still, many customers gave the Model 220 the highest rating possible, despite potential defects that it might have come with. Some enjoy the efficiency of the product when it does happen to work. Some claimed that their skin felt smoother a day or two after the Model 220 was properly installed. That being said, many more had complaints about how poor the material turned out to be once they received it. The valve is made out of a poorly-made plastic and is very prone to cracking, causing leaks just months after it is installed. All in all, if you’re a small family wanting help with your hard water problem, it seems like this is the best option if you’re willing to spend a little more. Though the WaterBoss 220 22,000 grain water softener does have its problems, it is a unique water softener that does it’s job well as long as it is properly installed. Families with larger homes should avoid using this product, as it is specifically designed to use on small (three bedroom or less) homes. The Flex 7000 STX is a high flow water softener that is perfect for large homes or light commercial residences. This ‘set and forget’ system is known to have a long lifespan and can efficiently soften the hard water in your home, resulting in a reduced wear and tear on pipes and household appliances that use water. One inch connection included with the one inch digital metered memory valve. Media funnel is included so you can add the resin during installation. There are plenty of advantages that come with the purchase of the Fleck house water softener, many of which are exactly what make it perfect for daily use in your everyday life. The advantages listed down below were among the most expressed among owners of the product. The Fleck whole house water softener will save you up to forty percent in salt compared to other timed systems. In the event of a power outage, the internal capacitor keeps your specific setting preserved for up to forty-eight hours. ​Incredibly efficient on taking care of high water harness levels. Customer service incredibly helpful and are willing to talk you through the purchase and the installation in order to make sure you are getting the perfect house water softener for your home. ​Special safety float keeps tank from overflowing in case the valve gets accidentally clogged or plugged for any reason. ​Improved efficiency since house water softener regenerates only when necessary, which saves much money, salt, and water. Instructions are sometimes unclear and confusing to customers. Many have instead watched videos or contacted a plumber for help with installation. The Fleck 7000 SXT Whole House Water Softening System is very heavy, weighing over one hundred pounds. This can make movement and installation of the product difficult, especially if using a DIY installation. ​Some parts that may be necessary are not included with the product. ​Since this home water softener is salt based, one may find the water to be somewhat slimy. It also may increase salt in drinking water, resulting in an increased sodium intake. Certain components for the home water softener, such as the brine valve and certain seals and spacers, and the main piston, are not covered under warranty. The warranty only covers manufacturer’s defects, and these specific components will wear down over time. Some parts that may be necessary are not included with the product. There were barely any negative reviews that were found when researching the Fleck 7000 SXT Whole House Water Softening System, and those that were found were mostly about the difficulty installing by themselves. The majority of customer reviews were the highest rating that one could give for a product. Considering the high customer satisfaction and incredibly low customer complaints, it appears that this whole house water softening system is one of the best products on the market that you can purchase for water softening. Many were amazed at how easy it was to install (even with a little help) and how quickly they noticed the difference in their water. Some stated that it made their hair look shiny and cleaner, while also making their skin feel smoother than they thought it would. Others claimed that due to the “set and forget” system maintenance was incredibly easy and most simply set the product to flush when necessary. All in all, many that have purchased this product have found very few negative things about the product itself. Given the high customer satisfaction rating, it seems like this is the perfect product to have. Even though it is a bit expensive, this product seems high quality and completely worth the price that’s being asked. Though it still has a few very minor flaws, it is a good buy for anyone wanting to soften up their water that lives in a large (five bedroom or greater) home. The Iron Pro 2 Combination Water Softener is an easy to use, incredibly efficient water softener and iron remover. It is a high flow, larger system that is perfect to use in both average and large homes. With this product, you can safely and quickly remove hard substances like iron, rust, and sand, making your household water much safer to drink! The Iron Pro 2 is an all in one water softener and iron filter. Comes with a safety float, well overflow connection, tube and line connectors, usage screen, and tank with unique injection molded lid, as well as all voltages found internationally. Fleck 5600SXT digital metered valve that is incredibly easy to use and extremely efficient. The Iron Pro 2 Combination water softener comes with DIY instructions for easy installation and use. High flow water system for use throughout the entire house. Also, comes with a 5-year warranty for the valve, a 10-year warranty for the tank, and a 30-day satisfaction guarantee! System is a cool black and 100% corrosion resistant, with a fine mesh and a 64,000-grain capacity for a longer lifespan. Removes sand, rust, sediment, hardness up to 75 gpg, Manganese up to 6 ppm, and iron up to 8 ppm range. Automatic history of water usage stored directly into the product’s memory. Energy savings up to 60%, complete with energy efficient controller that can use no more than five to six dollars a year. That’s around $0.42 a month! Creates cleaner, less stained dishes and glasses, as well as softer and cleaner looking laundry. ​Filters minerals and metals that cause grime and red stains, increasing lifespans on water heaters, washing machines, boilers, and showers/bathtubs. ​Great for health! A higher quality of water is known for being better for both skin and hair, and it is also much better to use in food in order to help fight problems with the kidneys as well as fatigue. ​Special system memory, timer clock, and an automatic variable reserve that you won’t lose if the power happens to go out. ​Water pipes and taps have little to no debris and rustic materials in them, resulting in cleanliness and longer lifespans. The DIY manual instructions were very difficult to follow. Some have found the guide to be so confusing they had to have it professionally installed. Once installed, there have been immediate failures on certain components or the product outright did not work. ​Though cheaper than some water softeners, it still finds itself to be somewhat expensive. Usually can be bought at around $700 to $750. ​Some have complained that even though the warranty was still intact, customer service was difficult to deal with if something happened to break. ​General weight is two hundred pounds, meaning it could take more than one person in order to move it and install. Takes three to four hours to correctly install, sometimes even more. The feedback for the Iron Pro 2 Combination water softener by individuals who purchased the product was overall excellent. Many gave the product the highest rating, with a few going down in rating due to installation problems or other product defaults. That being said, many proclaimed that it helped them with their everyday lives and some even went so far to say that it was one of the most helpful home improvement products that they had purchased. Several individuals have stated that it was the efficiency of the Iron Pro 2 that caused them to enjoy it so much, with some having softened water within two or three hours after installation. Other compliments about this product were the increased cleanliness and health that people felt once water was softened. If you can afford the fee of the Iron Pro (including the possible cost to get it professionally installed), it does seem like a good product to have. Many have claimed that once installed it has made their clothes look cleaner, water taste better, and even has made their soaps and shampoos work better. All in all, it appears that the product has greatly affected it’s consumers in mostly positive ways. The Aquasana EQ-SS20 SimplySoft Salt-Free Water Softener is an innovative salt-free water softener that naturally conditions and purifies water and protects pipes from corrosion. Unlike water softeners that are salt based, the salt-free water system will not damage the environment by adding excess sodium into communal water systems, nor will it demineralize your water and leave it without minerals that would normally be healthy for the human body or cause health problems due to the excess salt intake. Not only that, but you can choose anything from a simple one room filter, to one that will filter the water in the entire house. The filters last up to six months, or fifty thousand gallons, so one won’t be spending too much money on replacement filters. Dual tank design results in greater reduction of contaminants, as well as prevents unwanted difficulties like clogging or leaks. 0.75 inch fittings needed to install, thankfully these are easy to find if they do not come with the product. If something happens to break there is a one-year warranty, and if you are unsatisfied with the salt-free water softener you can return it within thirty days and receive a full refund. Made of a more durable material, resulting in a longer lifespan than other water softeners of this kind. General temperature range for this product is between forty and ninety degrees Fahrenheit, so it is perfect for installation under cabinets in kitchens or bathrooms. 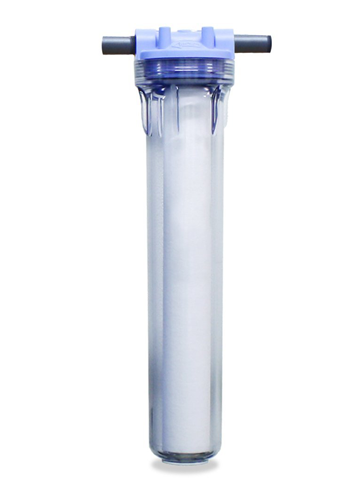 Intelligently designed to maximize filtration media for extraordinary performance. Removes most of existing heavy metals such as iron and manganese, industrial solvents, and organic chemicals like VOCs, leaving water much cleaner and tasting great. This salt-free water softener filters water which produces a stronger flavor and a quicker cook time when making meals. ​Reducing the body’s exposure to chlorine and other synthetic chemicals can result in skin and hair feeling smoother and more moisturized. ​Filters specific VOC’s and chlorine that can evaporate into the air when showering, making it much easier to breathe inside your home when this product is installed. ​Comes with other optional upgrades that will make the salt-free water softener more powerful, more accurate, and even easier to install. Salt-free water softener has a long-lasting filter that only needs to be replaced once every six months, or once every fifty-thousand gallons. Due to the large size of the box, some small parts and components may be shipped loose and could possibly break, or break the product itself. Salt-free water softener is somewhat harder to clean than other softeners. ​Some consumers believe that the Aquasana SimplySoft salt-free water softener is a bit overpriced compared to other softeners. 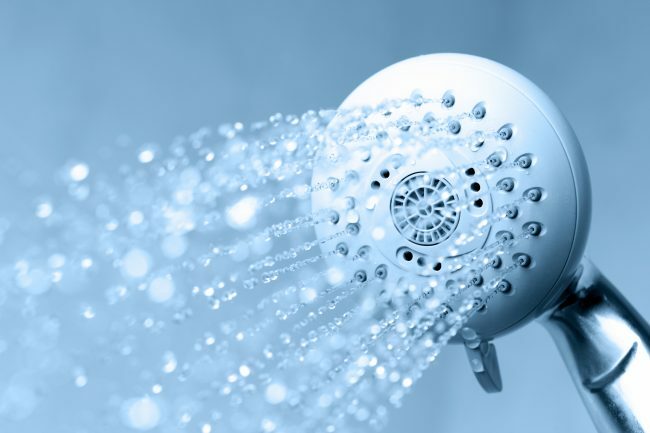 ​Once product is fully installed, many have noticed that water pressure had significantly reduced. ​When exposed to extreme heat or cold, as well as direct daylight, the product can be damaged horribly, sometimes to the point where it needs to be replaced. After much research, it appears that the Aquasana SimplySoft salt-free water softener is highly rated and recommended by consumers who have purchased the product. Even with all of the disadvantages and defects that could possibly come with purchasing it, many customers gave it the highest possible rating. It seems to be one of the most highly rated and most recommended salt-free water systems. Many highlighted how surprised they were at how easy installation was, as well as the numerous benefits that occurred after such as skin felling less dry and hair looking more lively, as well as a greater sense of well-being in general. Others noted how much stronger their meals tasted when cooking with the filtered water, as well as how pure their water tasted. Since there is no need for electricity, many were delighted to see how much it saved on their electric bill. Even though it is a bit pricey, it appears that this salt-free water softener is well worth the expense. The product seems to succeed in efficiently and significantly reducing the chlorine levels, as well as taking out the hard minerals and heavy metals. With such an intelligent design, it’s no wonder this product has highly satisfied so many consumers who have purchased it. 1. Silky soft skin- A water softener will help to turn your skin from the dry cracked scratchy feeling to a smooth soft feel by removing the “hard” from the water. A noticeable difference to your skin and hair. 2. Softer feeling clothes that last longer- Water softeners remove the hard water minerals that become embedded in the threads. This helps the fabrics last longer, feel softer and stay white longer. 3. No more calcium deposits- Those white chalky calcium carbonate deposits that are sometimes referred to as “lime scale” will begin to disappear or at least stop growing. Those are the deposits that you see on the showerhead and other faucets in your home as well as the film on the dishes and silverware. 4. You can stop using soaps and detergents with chemicals in them- Modern soaps and detergents often times contain a chemical that counteracts the effects of hard water minerals and helps to promote a rich lather. A water softener will remove these minerals which will allow you to use chemical free soaps. Good for you and the environment! 5. Save on soap and detergent costs- Staying on the topic of soaps, you can save on the cost of soap by up to 70% because without the minerals in the water your soap with lather very quickly so you can bath quicker. 6. Your appliances will last longer- Water softeners will affect any appliance that uses water. Appliances that heat the water are especially susceptible to hard water deposits. These hard water deposits will build up over time and reduce the life of the appliance. A water softener will reduce the amount of scale build up and improve the life and performance of your appliances.